Andrea graduated from Memorial University with a bachelor of kinesiology (Honours) in 2011. She then pursued a career in physiotherapy, completing Dalhousie's Master of Science in Physiotherapy program in 2013. 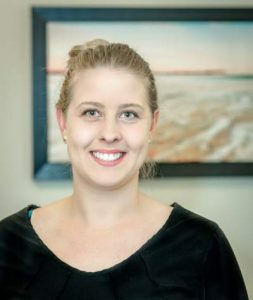 Andrea has a passion for continuing education and manual therapy. Since graduating she has completed her level 1, level two upper quadrant and level 2 lower quadrant manual therapy courses through the Orthopaedic Division of the Canadian Physiotherapy Association. She has also completed Mulligan Concept Upper Quadrant course. Andrea is available for early morning and evening appointments. Andrea enjoys treating a variety of conditions and injuries! In her free time Andrea enjoys being outdoors with friends, family and her dog! Call Andrea Noel today to book a consultation or appointment.